The Ohio State Limited was New York Central's premier, long-distance train serving New York and Cincinnati. It joined the timetable during the 1920s and eventually boasted all-streamlined status offering a range of accommodations. Unfortunately, the NYC did not offer such a direct route as rival Pennsylvania between New York and the Midwest. As a result some of its trains were slower and the Ohio State struggled to compete against PRR's Cincinnati Limited, as well as other trains it offered on this corridor (such as flagship Spirit Of St. Louis which reached the Gateway City). While the NYC never gave up on the market until nearly the Penn Central merger, discontinuing the train a few months prior during December of 1967. By then the Ohio State was offering only a few amenities. While the New York Central had its rival beat in the busy Chicago-Detroit market, Pennsy offered the fastest, and most direct route between the long-distance New York to St. Louis, including Cincinnati. The PRR provided the Spirit and Cincinnati Limited previously mentioned as well as the St. Louisan, Penn Texas, and deluxe, all-coach Jeffersonian. There was also competition from the Baltimore & Ohio, which operated its own fine set of top trains in this arena including the National Limited (originally New York - St. Louis), Cincinnatian (Washington - Cincinnati), Diplomat (New York - St. Louis) and Metropolitan Special (Washington - St. Louis) among others. The B&O also boasted its own competitive through route to the Gateway City albeit it lacked direct entrance to New York, which was always a liability for the road. The New York Central originally launched its Ohio State Limited on April 27, 1924 in direct competition to Pennsy's Cincinnati Limited, originally inaugurated during May of 1920 but had a history which could be traced back to the late 19th century. The Ohio State was listed as trains #15 (westbound) and #16 (eastbound) with a schedule requiring nearly 17 hours to complete since the NYC's main line ran north to Albany, west to Buffalo, and then southwest through Ohio towards Cincinnati and eventually St. Louis. In contrast, the PRR's route was a direct shot across its home state and through Ohio to Cinncy and St. Louie. As a result, its Cincinnati Limited ran a schedule nearly two hours shorter than its counterpart at around 15 hours. The Ohio State Limited would depart New York's Grand Central Terminal during the late afternoon hour around 4 PM and arrive in Cincinnati the following morning just before 9 AM. Its eastbound counterpart would leave Union Terminal during mid-afternoon and return to New York at 9 AM the next day. From the outset the train was provided a bevy of top accommodations including reclining seat coaches, Pullman sleepers, and lounges. During the streamlined age it fielded its first lightweight cars in 1941 as NYC worked to reequip all of its top trains with the sleek, plush accommodations noted from that era. 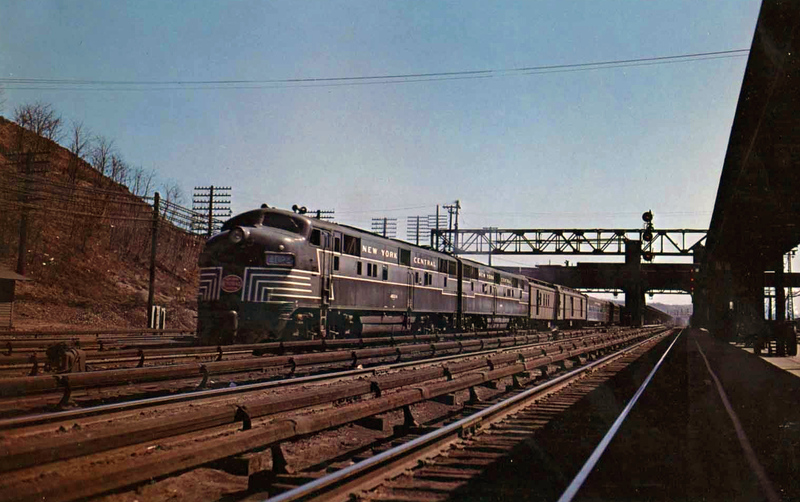 By 1949 the Ohio State was fully streamlined carrying equipment from both Pullman-Standard as well as Budd. Even though the NYC could never truly compete against the PRR in this market its services were nevertheless high class and typical of its "Great Steel Fleet." One particular advertising piece for the train noted the following: "The High in Ohio Travel. Overnight Vacation! Yes, it's an overnight vacation when you travel on the Ohio State Limited...the choice of Pullman hotel-rooms or individual coach seats...the luxurious lounge car for relaxing...the famous New York Central meals...the comfort of the Water Level Rote...the smoothness of diesel-electric power...these are just some of the reasons why a trip on the Ohio State Limited is an overnight vacation. Eastbound, this streamliner leaves Cincinnati and other Ohio cities late in the day. Step off by business time [the] next morning in Grand Central Terminal, the heart of New York. Westbound, leave New York after business...Be at your Ohio destination next morning before business." 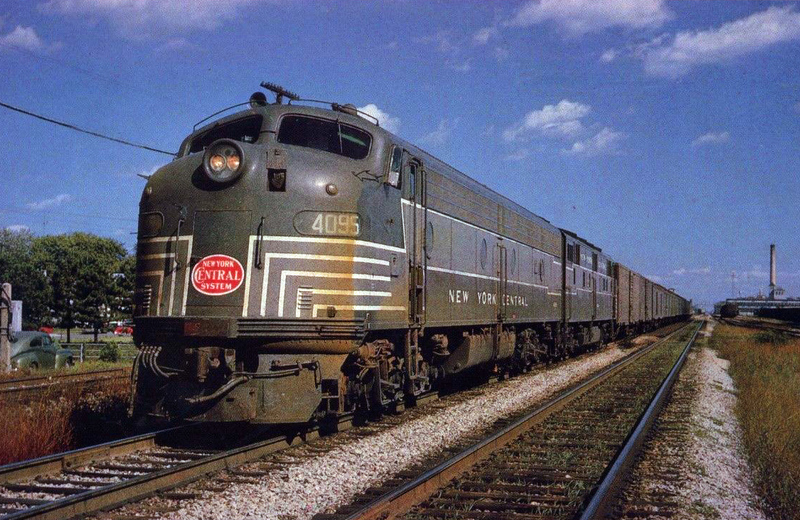 According to Geoffrey Doughty's book, "New York Central's Great Steel Fleet: 1948-1967," the Ohio State regularly ran with predominantly 10-roomette/6-double bedroom sleepers, of which the NYC owned a large fleet (more than any other railroad) totaling more than 100 manufactured by Budd and P-S. During October of 1956 the train lost its observation and amenities were slowly lost from that time forward. In April of 1962 the Ohio State began utilizing new sleepercoach service but this did little to revive ever-worsening ridership. Prior to the loss of these cars in 1965 the train featured only a sleepercoach, coaches, diner, and a single, through 10-6 sleeper. Just before NYC merged with Pennsy it began dropping names or eliminating as many trains as it could. The Ohio State Limited lost its name in November of 1967 and made its final run only a month later of December 3rd.